How can you tell if you have a rat infestation? Do you hear scratching in your attic? Gnawing sounds? Bumps or bangs? Call the critter catchers of Orange County! If you hear any of these noises coming from your attic you may have roof rats. Roof rat infestation is a common problem in San Diego. Rats can infest your home from many different locations. Rodents can enter your garage and gain access to the rest of the house. Rodents can also enter the attic from the roof via overgrown foliage. We, your San Diego rodent control experts, encourage you; don’t put off rodent proofing! Rodents can cause serious and even life threatening damage to your home. It is said that 25% of house fires attributed to unknown causes are from rats. Rat feces and urine can also carry diseases. The only way to keep rodents out of your home is proper rodent proofing. Through rodent exclusion and seal up, and effective rat trapping, future rodent infestations can be avoided. There are gimmicks out there, offering strobes, ultrasonic devices, and even natural and herbal repellents. These are advertised to chase rats out of your home and keep them out. In our years of experience, there is no easy way to evict and exclude rats. Many customers have tried these devices and they have failed. That’s why you need to give the Southern California critter catchers a call as soon as you see signs of a rodent infestation issue. Rat exclusion and rodent proofing services. Complete attic restoration and insulation services. 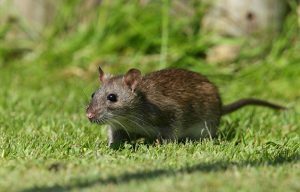 We have been providing rodent control solutions for the residents of San Diego for many years. We will locate the entry points the animals are using,, provide repairs to those entry points, and set traps in the areas with rodent activity. Our focus is on solving your rodent issues. All of our repairs come with a 1 year warranty, with extended warranties available.